Moxibustion – The word moxa derives from the Japanese phrase mogusa, which means ‘burning of mugwort’. 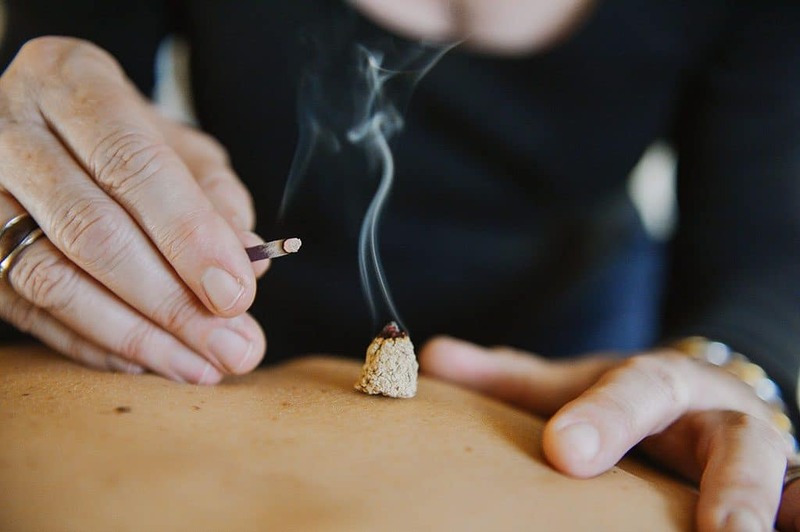 Moxibustion is a traditional Oriental medical technique that involves the burning of mugwort, a particular tinder of dried herbs, on or near the skin to facilitate healing. It has been used throughout Asia for more than 3.000 years and was first practised in cold climates to generate warmth for the body and to reduce pain. 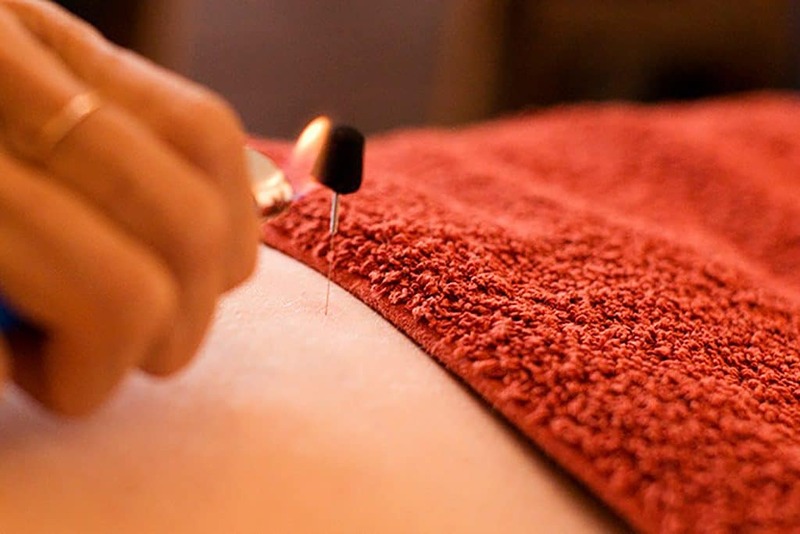 The purpose of moxibustion, as with most forms of Traditional Oriental medicine, is to build and strengthen Blood, improve circulation by stimulating the flow of Qi (energy) and obtain or maintain health. What Can It Do For Your Health? Moxa, at the size of a rice grain or smaller, is placed on the skin over an acupuncture point. The practitioner lights the top of the moxa with an incense stick and allows the heat to travel downwards, just before it touches the skin. The patient will experience a pleasant heating sensation that penetrates deep into the skin, tissues and muscles without any pain, blistering or scarring. 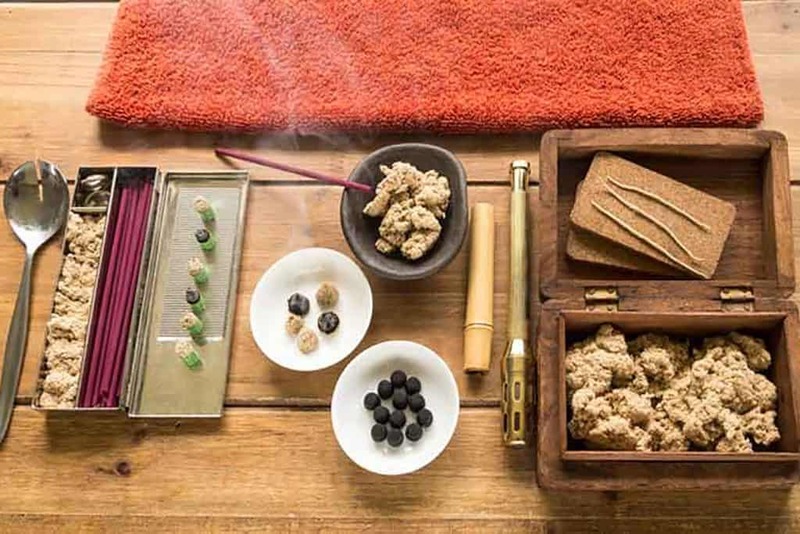 This form of moxibustion is known for its nourishing and replenishing qualities. In this type of moxa a larger moxa cone fingertip size is heated on the skin. We use chinetskyu to tonify and strengthen the Qi and will remove the cone when the person senses a slight sensation of heat on the skin. It is a subtle technique to support underlying weaknesses and imbalances of Qi flow. After chinetskyu moxa, the patient can feel a deep sense of inner warmth and vitality. A practitioner lights one end of a moxa stick, which has the shape and size of a cigar. It is held with the ignited end close to the treated area until it turns warm and red. Moxa stick therapy is also a popular form of >home treatment due to its ease of application for mild inflammatory conditions. A needle is inserted into an acupuncture point and retained. A moxa cone is placed on top of the needle shaft and ignited. A soothing heat from the moxa cone radiates into the surrounding area until it gradually extinguishes. This form of moxa use is suitable for many muscular skeletal conditions to cover broader affected areas of the body. the cylinder like tools, which are then used to lightly massage or stroke an area to warm it or improve blood circulation. We often perform this method on tight muscles and tendons, stiff joints or scar tissue adhesions. In Japanese acupuncture, moxibustion is an essential part of the treatment to assist in a range of conditions.